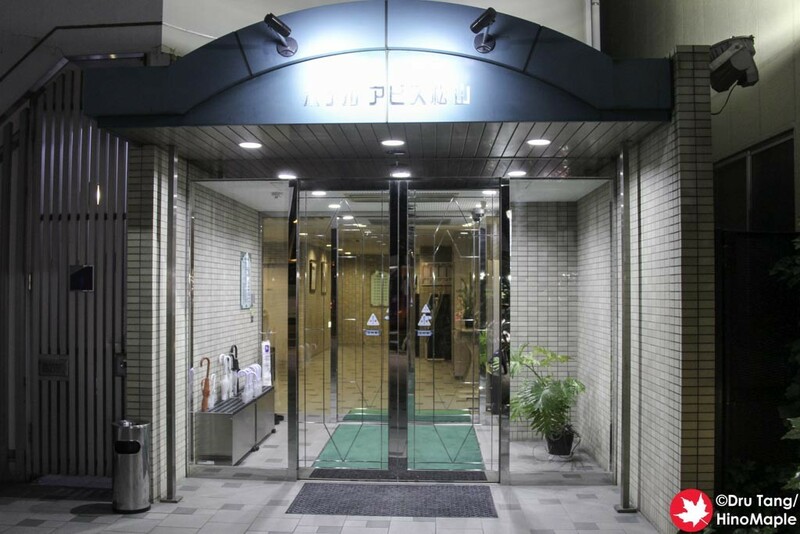 The Hotel Abis in Matsuyama is a pretty standard business hotel. 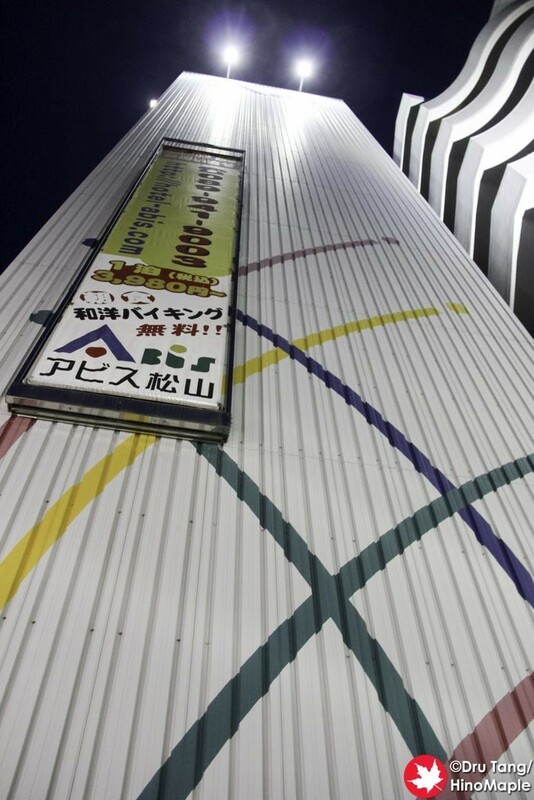 It is located very centrally and very close to the entertainment district of Matsuyama. You can also easily make it to Matsuyama Castle and all other places too. It is not an old hotel but it is starting to show its age. I would stay in this hotel again if I had a chance as the general service is pretty good. The Hotel Abis is located near the Kencho-Mae stop on the tram system. It is really close to the main shopping district and entertainment district meaning it is as centrally located as possible. Finding the hotel is not difficult but the entrance is a little small making it somewhat less inviting than a regular higher end hotel. If you often stay in business hotels, and you know what they look like, then you won’t have any worries about Hotel Abis. If it is your first time, you may be a little put off by the outside appearance. Once I got inside, I had to check-in. The check-in process is a little strange as you talk to the front desk staff before you turn around and use the machines to pay. With your room card, you just insert it into the machine and then it requests payment. Similar to all self-service cash machines, you just insert your money and change and a receipt comes out. When I arrived, a gentleman was asking for an old fashioned hand written receipt and it took a while for them to take care of it, but they can do it too. The rooms were pretty standard. There really isn’t anything special to talk about here. 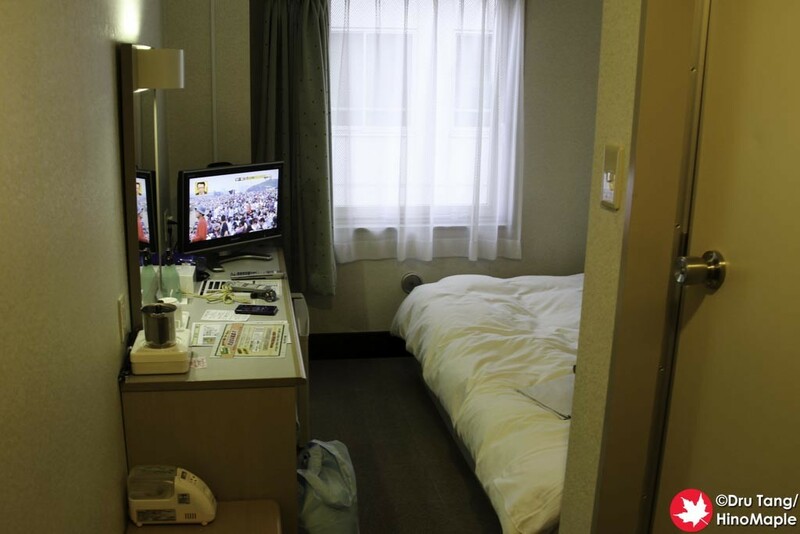 If you stayed in any business hotel, or Toyoko Inn, then you know what to expect. You expect a bed, small TV, and wifi. You get all of this at Hotel Abis. My room included breakfast and it wasn’t bad either. I never expect a luxurious breakfast when I am staying at business hotels. Usually I expect something I don’t like, such as rice and pickles, but they had enough selection to make me happy. Hotel Abis is not a hotel to be afraid of, but the people are not very good at English. Their English is probably passable for your basic needs, but anything more would be tough for them. I didn’t really interact with them too much other than to ask them to hold my bag while I went around Matsuyama on my final day. I will definitely try to use their hotel again if the price is right but otherwise I doubt I’d be loyal to them. 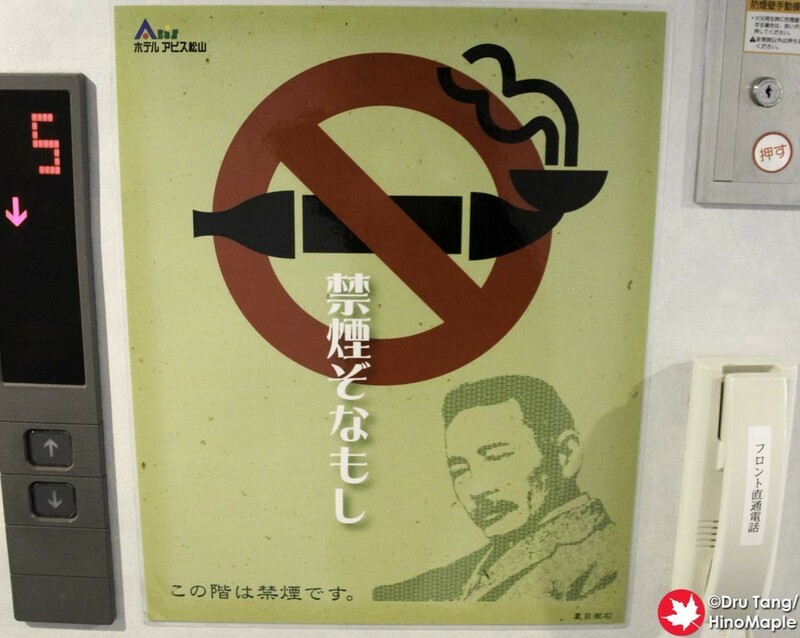 This entry was posted in Hotels, Shikoku and tagged Abis, Business Hotel, hotel, Hotel Abis, japan, Matsuyama by Dru. Bookmark the permalink.